My private, hobby website concerning steam engines. 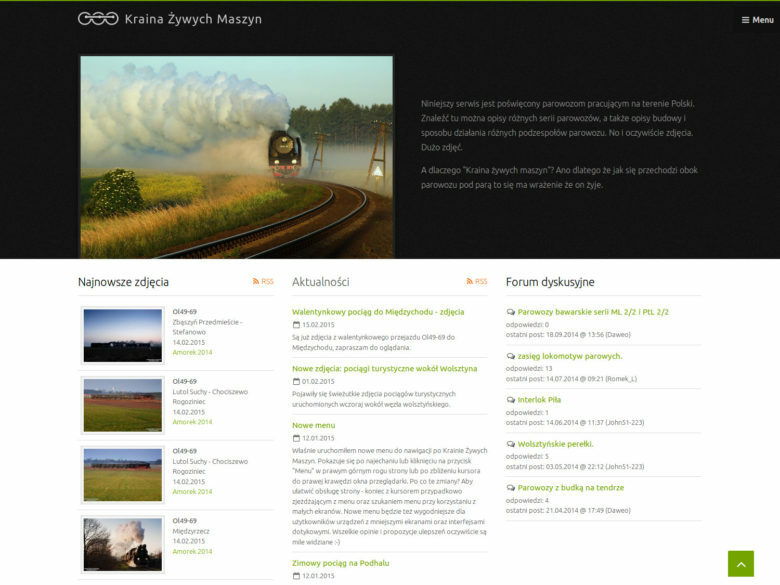 It’s a photographic and informational site about steam locomotives in Poland. It contains news, event announcements and a bespoke discussion board. And, of course, a huge searchable, categorized photo gallery that grows with time. Much of the site are static pages, but all the dynamic content is manageable from a custom administration panel. The site was created with ease of use and accessibility in mind, no matter the device used to browse it. This obviously implies responsive design. And the back-end? Built on the CodeIgniter framework, powered by MySQL. Only Open Source software was used.